T-shirts are an interesting communication vehicle. They allow you to express yourself and to connect with like minded people. 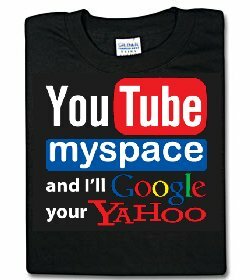 Over the years I came across some cool t-shirts for Internet geeks and web workers, and today I decided to compile a collection of them. All the images are linked to where you can buy the t-shirt (no affiliate links, don’t worry). Enjoy! I,ll not purchase these but I’ll give the T-Shirts with my blog logo free for blogger brothers and readers. 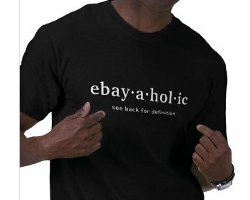 Would you like to wear my Blog’s T-Shirt without any cost? lol, best one is Do you know HTML and CSS – not that id ever wear it! Nice. I’m digging the twitter shirt! I gotta buy that one! The robots.txt shirt is a funny one and unfortunately I couldn’t find a company that ships it to my country..
Shoemoney has the best shirts. Take a look at the gallery on his site. hahaha…I recently received “I’m huge on twitter” as a gag gift. Lol, last one is great 😛 ! I like the shirts but I don’t see myself ever wearing them .. I think that this is the ultimate geek t-shirt. These are some very clever t-shirts. Wish I would’ve thought of them.